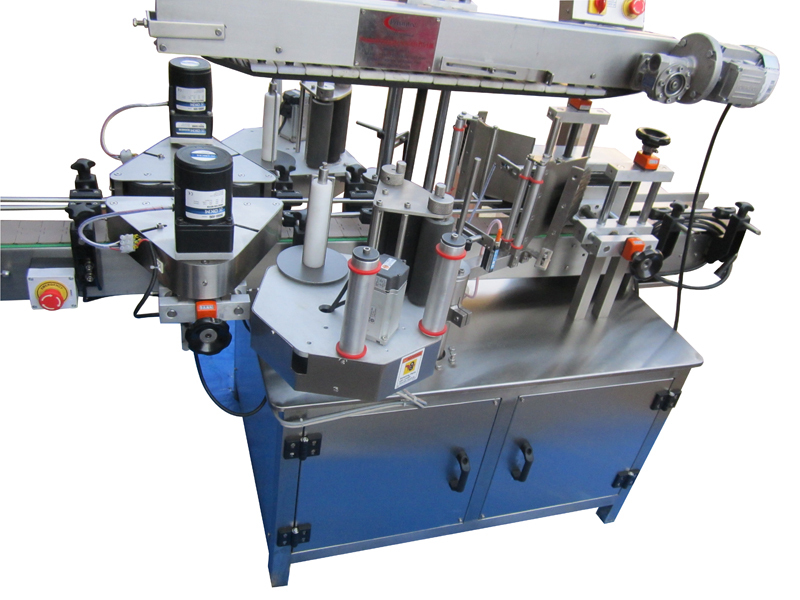 Machine is used to apply self adhesive sticker labels on Flat / Round / Cylindrical Containers. This machine applies two labels i.e. 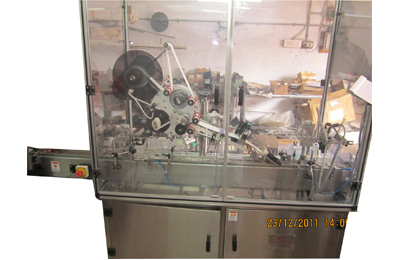 front & back together on the Container with the help of two dispensing unit integrated on the machine. The containers with applied sleeves will pass through the shrink tunnel for shrinking and shrinking will take place according to the shape of the containers. 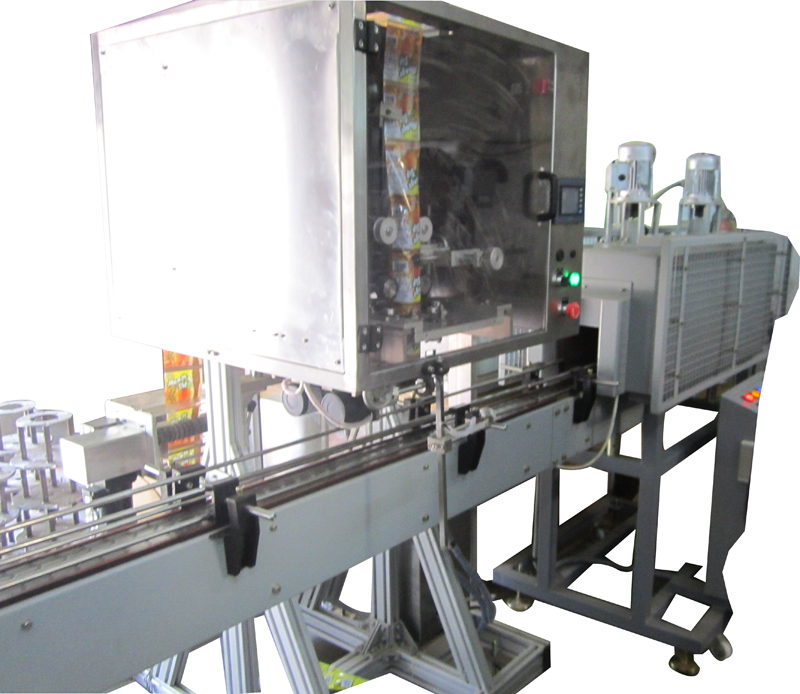 This labeling machine in servo based,Products will be loaded on to the Stacker / Tray manually. 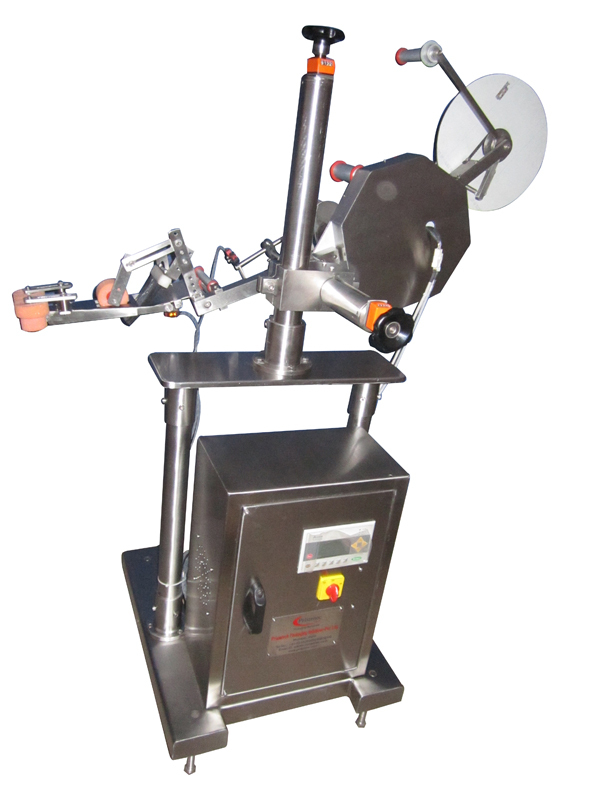 One by one each product will be dropped on to the roller conveyor and shall go towards the label dispensing unit. 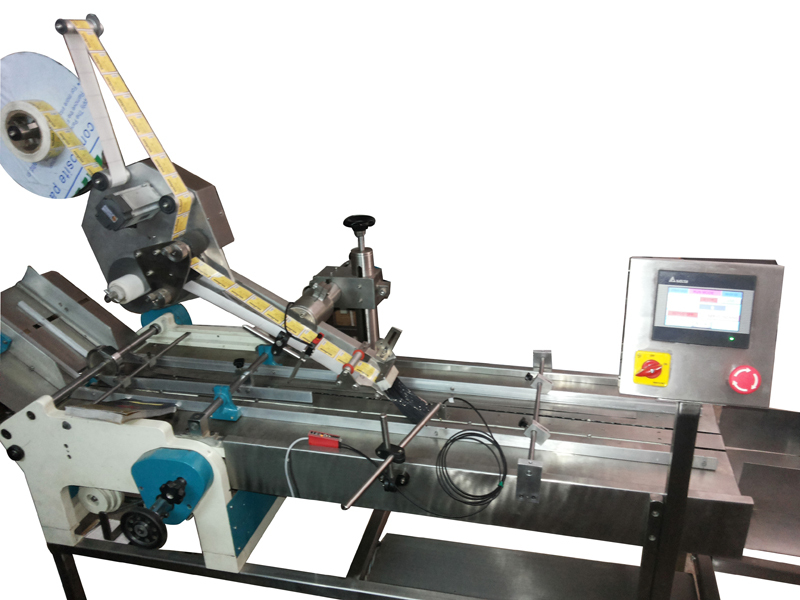 Automatic Sticker (Self-Adhesive) Labeling Machine, Suitable to apply accurate Labels on Flat / Oval / Square shaped products having PET, Plastic, HDPE, LDPE, Glass or any other surface. This is Servo Motor Based machine. 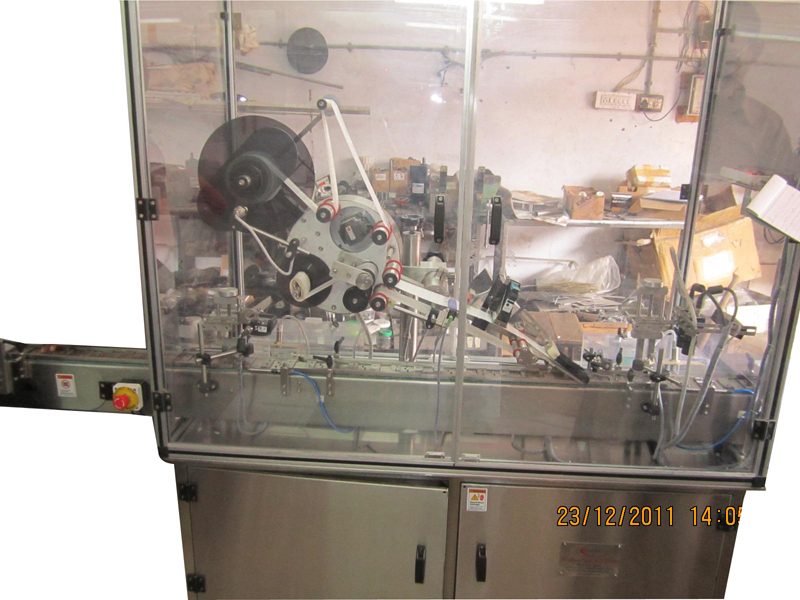 Servo Motor Based Dispensing Unit for Dispensing Sticker Labels. 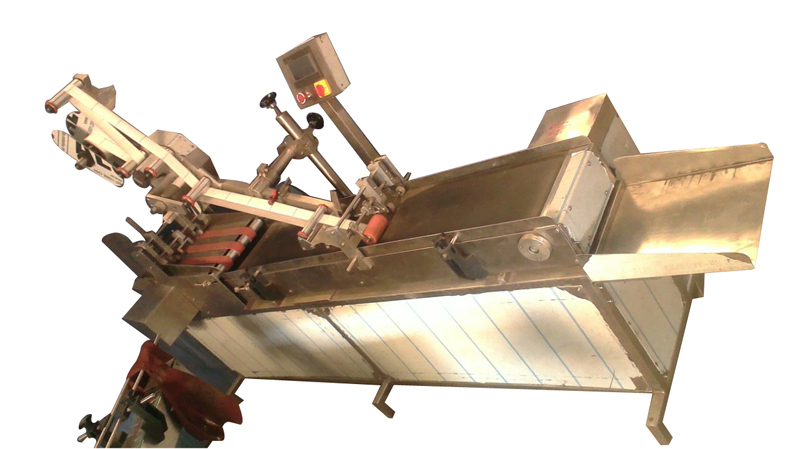 Label applicatorsare machines that automatically apply printed labels to products. 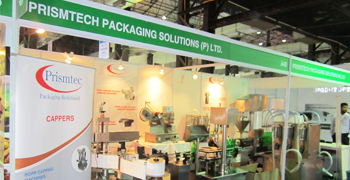 Labeler can apply a wide variety of label configurations to cases and cartons, increasing production. This machine is PLC Based operating system for easy operating of Machine. 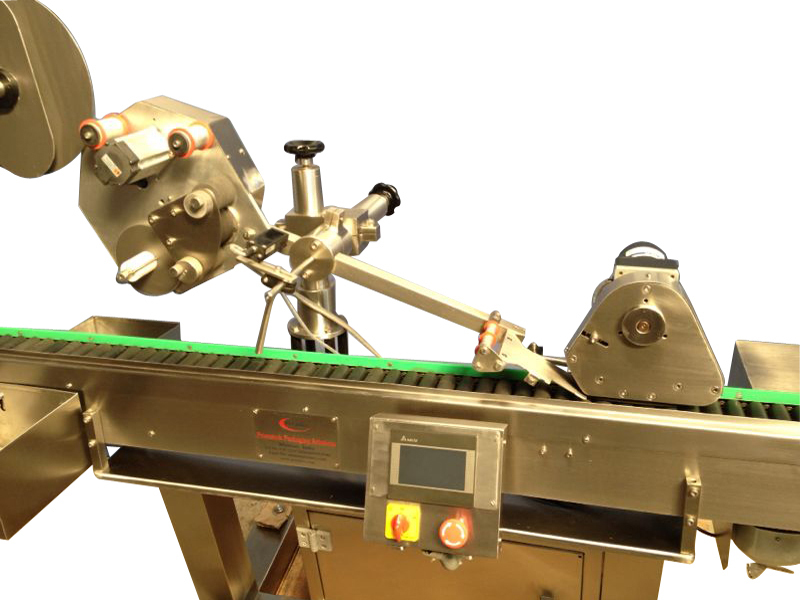 The operator places the bottle manually on the specially designed roller stand.As soon as the foot switch is operated, the cylinder gets actuated & presses the wrapping roller on the product, which holds & keeps the product rotating. 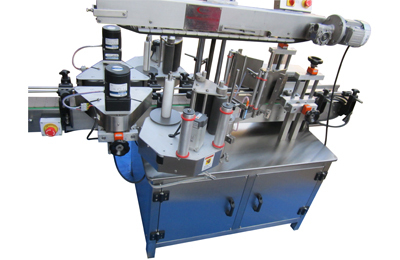 Machine is used to apply self adhesive sticker labels on Flat / Round / Cylindrical Containers. 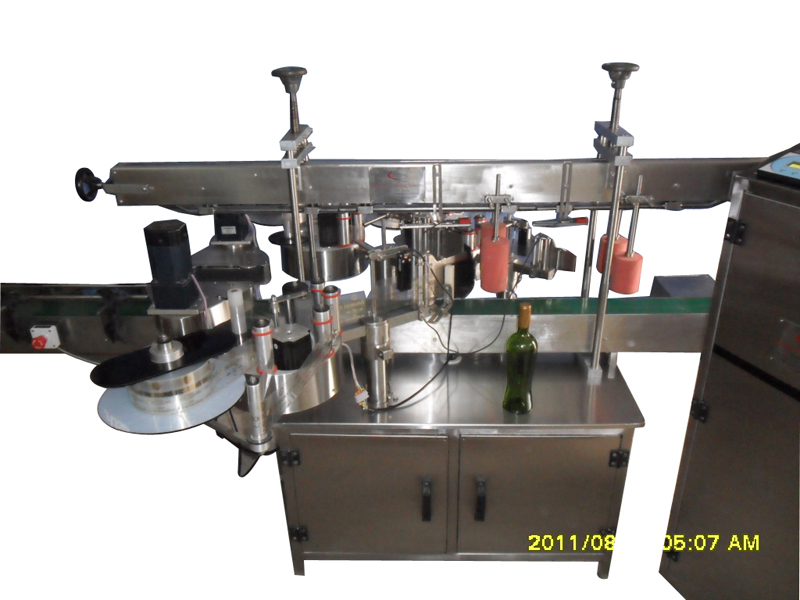 This machine applies Three labels together on the Container with the help of Three dispensing unit integrated on the machine. 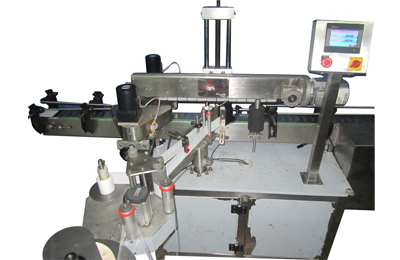 Machine is used to apply self adhesive sticker labels on TOP SIDE of Flat / Round / Cylindrical Containers. 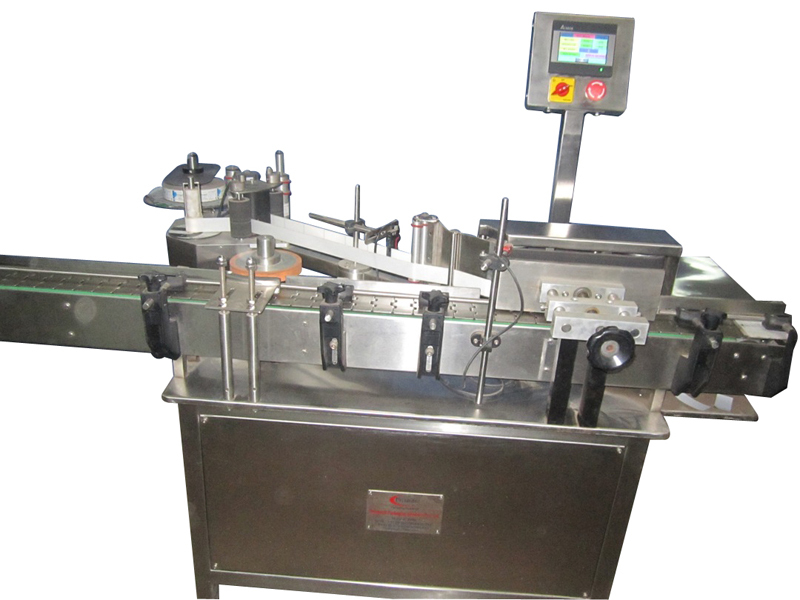 This machine applies labels automatically on the TOP SIDE of the Container with the help of TOP Dispensing Unit. 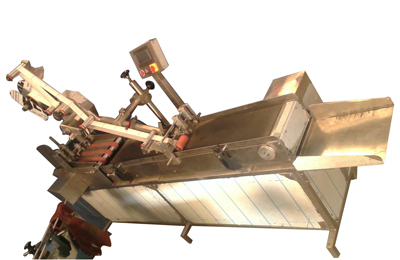 Machine is used to apply self-adhesive sticker labels on TOP SIDE of Cartons / Papers / Pouches / Paper labels.Product will be loaded on to the Stacker manually. 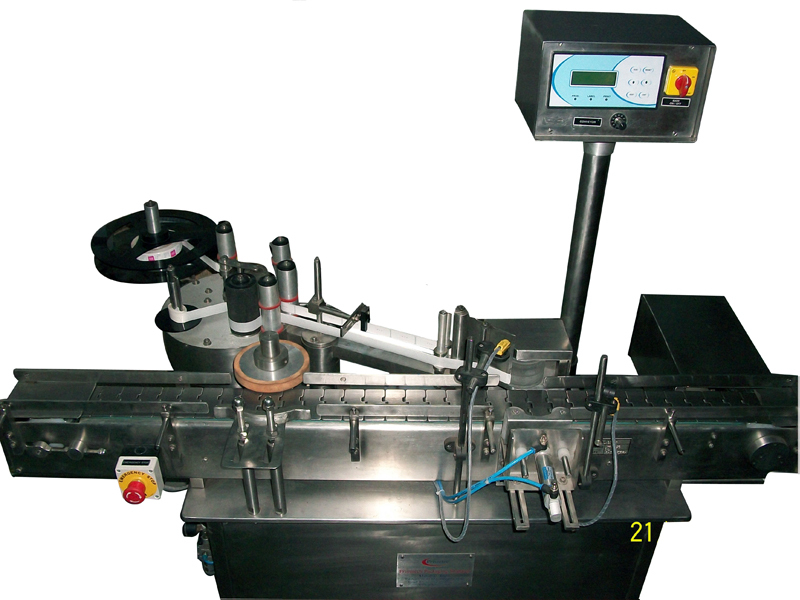 Machine is used to apply self adhesive sticker labels on Round Containers. 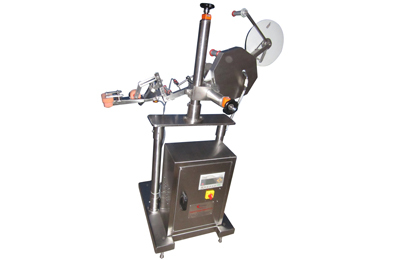 This Machine gives Full Wrap around & Partial Wrap around look to the container as per requirement.these machine are spindle based machine. 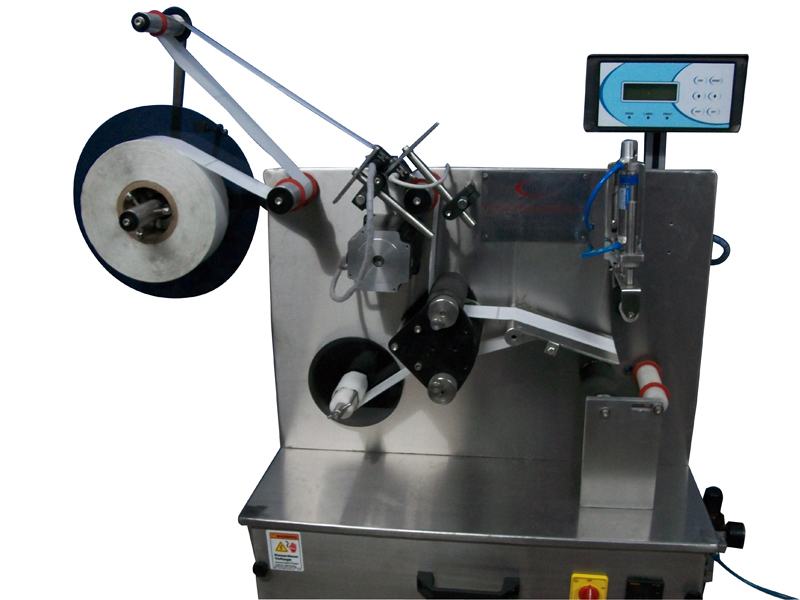 Machine is used to apply self adhesive sticker labels on Round Containers. 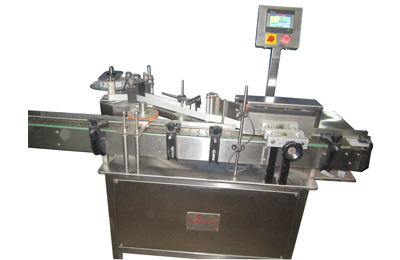 This Machine gives Full Wrap around & Partial Wrap around look to the container as per requirement. 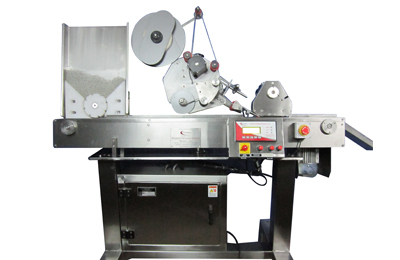 Products will be loaded on to the Stacker / Tray manually. 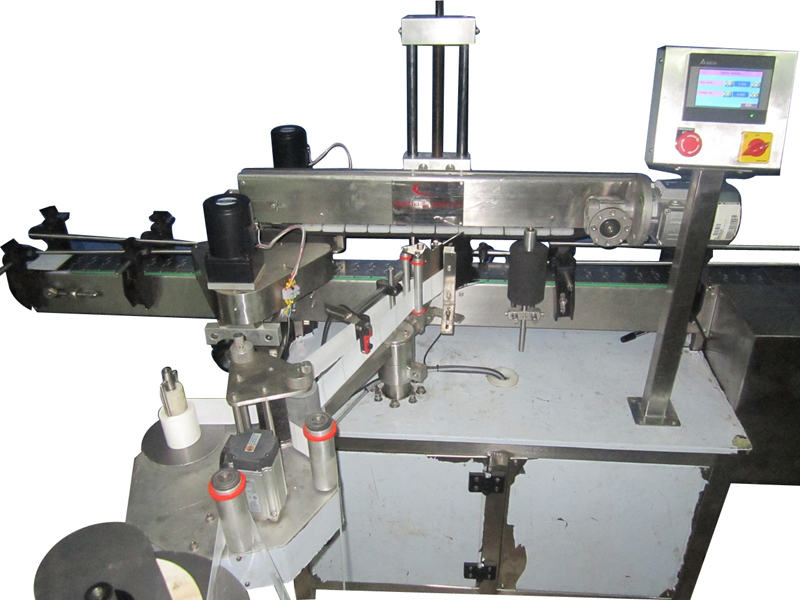 One by one each product will be dropped on to the roller conveyor and shall go towards the label dispensing unit.Machine is used to apply self adhesive sticker labels on Round Products having small diameter.